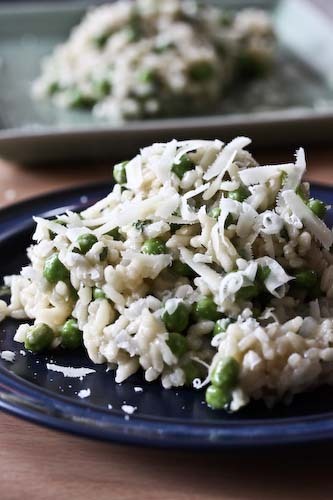 This is one of those recipes that uses so many fresh, in-season ingredients, it's hard to pass up. Especially when 99% of those fresh, in-season ingredients are already sitting in your fridge begging to be turned into something delicious. Evidently this is an original twist on a traditional succotash, which, according to the Woman's Day Encyclopedia of Cookery, is a native American dish consisting of "corn and beans (usually limas) combined after cooking and served together." Etymologically, the word derives from the Narragansett language (a tribe in and around Rhode Island) that means "something broken into pieces" (again according to Woman's Day). However, when I went looking for the fresh lima beans (the only ingredient I didn't already have on hand), they were nowhere to be found. I swear I saw them at the farmers market this weekend, late summer and early fall being prime lima bean season, but I was too lazy to make the trip all the way down there this afternoon, and they weren't in my local shop. Instead, I found fava beans. Fava beans?! In September? Fava beans are notorious for their short, spring season, so they were a complete surprise today. 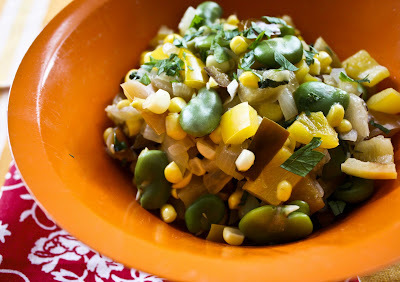 The recipe said I could substitute any shell bean for the limas, although it would cease to be a traditional succotash. Fava beans were the only shell beans I could find, so I resigned myself to the laborious double-shelling that is only supposed to be required once a year. 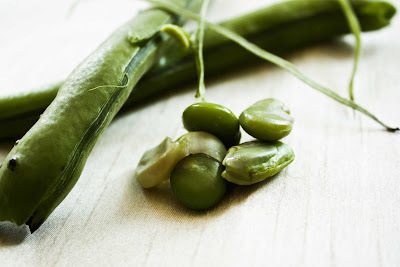 Fava beens need to be shucked from their shell, boiled, and then shucked again from a tender inner skin. Not a speedy process, but I was willing. In this recipe, from The L.L. 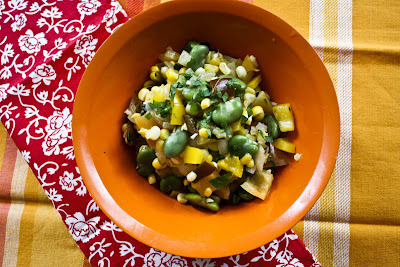 Bean Books of New New England Cookery, sweet red pepper is added to the traditional combination of corn and lima beans, for a simple, healthy and flavorful vegetarian dish. I, however, didn't use red pepper, but a rainbow of colors from the farmers market. I'm sending this to Lucy at Nourish Me for the "My Legume Love Affair" event, which was started by Susan of The Well-Seasoned Cook. Looks so good. Colorful and healthy! I love fava beans a lot. I usually buy canned ones here in California. I can't believe your were able to find fava beans now! I just bought my life savings worth of fresh cranberry beans at the farmer's market for a soup later this week. I'm not sure why they are so expensive. Anyway, I love the look of this! What I do know is that one wouldn't 'suffer' if fed a bowl of this - it's really beautiful, Andrea. And Native American in origin, which I never knew! Ah, the double peeling of fava's...a pain, but worth the effort. Thank you so much for your entry to the event! An L.L. Bean cookbook sounds like great fun. Haven't had succotash in quite some time. This is so colorfully delicious. Its Sylvester (the cat, not Stallone) who says "suffering succotash" i think!